Charles Dodd White and Page Seay, eds. 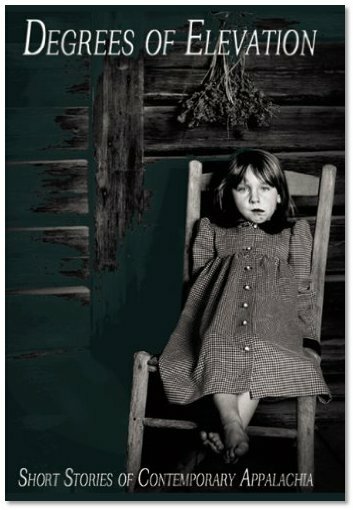 Degrees of Elevation: Short Stories of Contemporary Appalachia. Huron, Oh. : Bottom Dog Press, 2010. Anthology of short fiction. 186 pages. ISBN: 978-1933964393. To successfully capture a place; to transport the reader to a different world using words alone is a mighty feat. By observation or remembrance writers create narrative portraits of a place. People are often shown to us through their language and peculiarities of culture. Capturing a sense of the land is harder. The dialogue of Stephen King brings us back to his native rural Maine. E. Annie Proulx, with her sharp eye and careful ear has taken us on a long journey from Newfoundland, down through Vermont to Texas and finally to Wyoming. Every place is unique, as are its inhabitants. Both are woven tightly together in a finely detailed pattern. They seem to be inseparable. This tie between place and people is incredibly strong in this collection of new Appalachian short fiction. Degrees of Elevation published by Bottom Dog Press is a treasure. These seventeen stories introduce us to the independent-natured people who live in a very natural land entirely dominated by coal. These are fictional works, telling the stories of people who are very real. I was honored to be introduced to Scott McClanahan’s kindly “Mary the Cleaning Lady” who helps a young girl gain a greater understand of the world. Silas Hound, Richard Hague, and Denton Lowing treat us to their determined eccentric characters. Each living life to its fullest. When I read Alex Taylor’s story “The Coal Thief” I felt I knew Uncle Ransom from somewhere. Then I recognized him as every mythological trickster from the Monkey King to Br’er Rabbit! Hard times, doubt and depression offset with the smallest kernel of hope prove the most stringent tests of people. These tales are beautifully told by Mindy Beth Miller, Jim Nichols, and Sheldon Lee Compton. I earnestly cared for every one of their characters. Marginalized sub-cultures are explored by Crystal Wilkinson and John McManus. These writers introduce us to people we may not even know exist. “Horseweed” by Chris Offutt and “Into the Gorge” by Ron Rash both show us so much in so few words about the wooded hills of Appalachia, and how times have changed. Several of these stories may well stay with the reader for years. Two in particular will always be with me. “Haskell” from Chris Holbrook’s “Upheaval” is heart-breaking man who is coming apart physically and mentally. The story is told in specific small language that is so much a part of this man’s life. In “Country Boys” by Rusty Barnes, Reena puts Jimmy in some enticingly difficult situations till he gets over his head, and has to decide. Jimmy’s choice is not easy, but yours is. Support small and independent press by purchasing this fine collection of stories written by some of the very best authors you will find today in American short fiction.